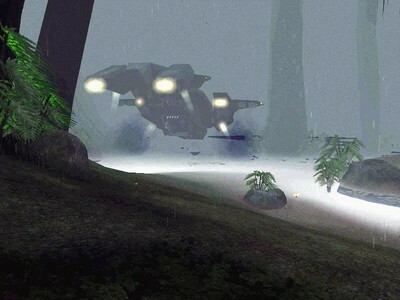 Description: Here's a compiled version of Halo 1's Single player map "343 Guilty Spark", in CE. It has all the original elements, but with the added graphic improvements due to HaloCE's "Fast Shaders"
If you leave off the difficulty option, it will simply load up into the Regular difficulty level. When the game ends, however, you will need to load another map that way (Such as bloodgulch, you would use "sv_map bloodgulch slayer") or simply quit out of the game. Or.. if you have a replacement UI with the Single player selection enabled, you can load from there, however there's a trick to get it to work. You must play through the map once, using the "map_name c10" command, before you are able to select it in the main menu. This is due to you not being able to complete the previous levels before it. Once you finish it once, though, you can use the UI to make your selections, resume checkpoints, etc. If you quit and then reload the map through "map_name c10", it will automatically resume you at your last checkpoint. Props to Steelix for his wonderful HEK+.